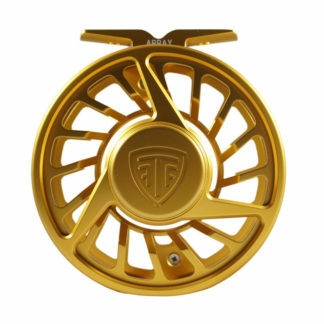 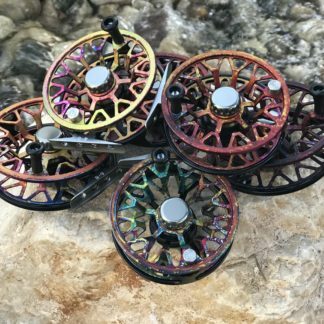 The T1 is the newest sealed drag reel designed by Taylor Fly Fishing. 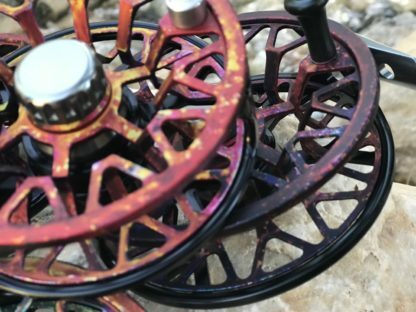 The aesthetic design takes its cues from our original reel the TYPE1. The T1 features a sealed carbon fiber drag, unmeasurable start up friction, a large arbor design, a sleek well ported frame, all in a reel weighing 4.5oz (4wt-6wt)! 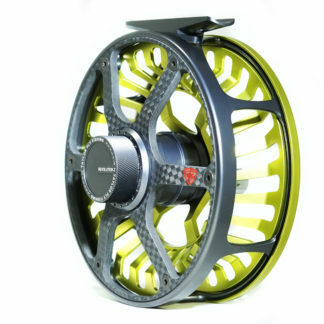 The T1 is one of the lightest 100% sealed drag reels available on the market today, which makes it a perfect for match for modern high modulus carbon rods. 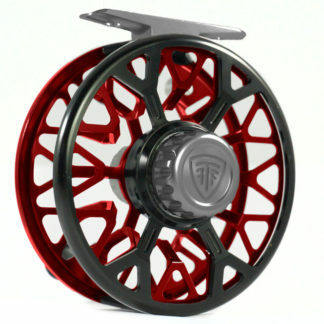 The drag system is smooth, strong, and has a fantastic range of adjustment. 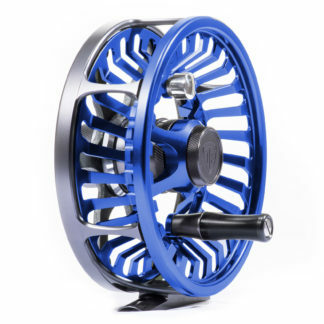 The T1 is available in 4wt-10wts and is designed for both fresh and salt-water use. 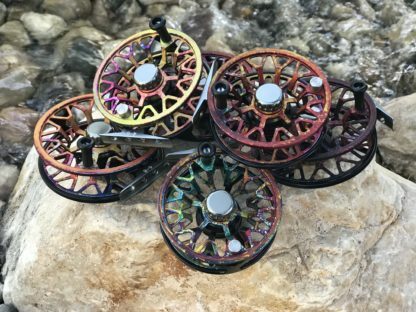 No two reels exactly the same!